This post includes affiliate links, which means if you chose to buy using my link, I earn a small commission at no extra cost to you. I’ve been using the free version of Canva for years, and it’s great. One of the main features missing in the free Canva plan is that you can’t download images with a transparent background. Most of the time, it’s no big deal. But when I want to update my logo or use icons, it’s a major problem. Crello to the rescue! Crello is a free web-based design app, very similar to Canva. But unlike Canva, the free version of Crello does allow you to download images with a transparent background. It also lets you resize images for free (In Canva, this is a paid feature!) I’m mostly using Crello with my new business and Canva for My Adaptable Career, simply because I have so many stock photos in Canva that are perfect for this site. I use Seva, formerly ConvertKit, for the emails I send to My Adaptable Career readers. It’s been fabulous for me, and I have lots of really great time-saving automations set up inside it. But after hearing so many great things about MailerLite these past few years, I decided to try it for my new site’s email list. It’s much cheaper than ConvertKit, and I won’t need as many complicated automations, so I’m hoping it will work well for my needs and save me some $$ in the process. One thing I’ve noticed about MailerLite is that you have to be pretty tech savvy to set it up effectively. I spent a few hours digging around in my hosting company’s C-Panel in order to make sure my emails come from my website domain name and not a MailerLite address (This should help with deliverability.). Then, I had to connect something else to make sure my landing pages show up on my site and not with a MailerLite domain name. I even had to cut and paste code to connect my side bar opt-in to MailerLite. Because I’ve been blogging for two years, I can handle these tech things myself, but I actually would not recommend MailerLite to you if you’re a beginner blogger. It’s worth paying for Seva to get rid of all the tech headaches and make sure your email list works and your emails are getting delivered. I want my new site to have a professional, cohesive look from the start, so I bought all my branding collateral from Station Seven. It’s the same web design company that made the theme for the My Adaptable Career website. I got a wordpress theme, Pinterest image templates, lead magnet templates, and some cute icons. All together, it was less than $150! When I started MAC, I didn’t spend much on design resources or branding, and I feel like it held me back. Now I feel much more confident spending the money on this because I know it will pay dividends. With freebies, ebooks, and a website that look gorgeous and professional, I feel more confident sharing my site and selling things. Pinterest is the BEST place to drive traffic to your blog, and for my new site, I’m getting back to basics with my favorite Pinterest guide. From setting up your profile, boards, and Rich pins to using SEO properly on Pinterest, this 170-page guide has it all. I also love the 17 case studies included with the ebook. It’s so cool to see behind-the-scenes strategy from other successful pinners, some of whom get hundreds of thousands of page views a month from Pinterest! It took me about six months to get started with Pinterest for My Adaptable Career, and with my new site, I’m not going to make the same mistake! I’m following the Tailwind and group board strategies from Making Pinterest Possible, and I can’t wait to see how fast my traffic grows. I used to use BoardBooster to schedule my pins for My Adaptable Career, but sadly, Board Booster just shut down! So now I’m transferring everything to Tailwind, and I plan to create another account for my new business. So far, I love Tailwind, especially the Tailwind Tribes feature, which comes for free with a pro membership. I schedule a lot of my tribe members pins because it’s even faster than scheduling pins from Pinterest. I also love looking at the stats from my tribes to see how much reach I’ve gotten. If you haven’t been seeing great results from Pinterest groups, give Tailwind tribes a try. I think you’ll be pleased at how many shares you get. Pro tip: Sign up here using my affiliate link to get a free month of Tailwind! For social sharing from my website, I used to use the paid version of Social Warfare, but it had so many conflicts with other plug-ins that I turned it off. What’s the point of a social share plug-in that doesn’t work!? I switched to using the free version of Sumo at My Adaptable Career, and I plan to use it on my new site as well. My Adaptable Career has been running for 2 years, so there’s a lot of things I haven’t had to do in a while. Things like… setting up a new site at SiteGround (my host), verifying my site with Google so I can access Google Analytics, verifying my site with Pinterest, setting up rich pins, and on and on. Blogcabulary Plus has tutorials for ALL these things and more. It’s truly the ultimate blogging terminology, reference, and resource book, and I highly recommend it for every new blogger. 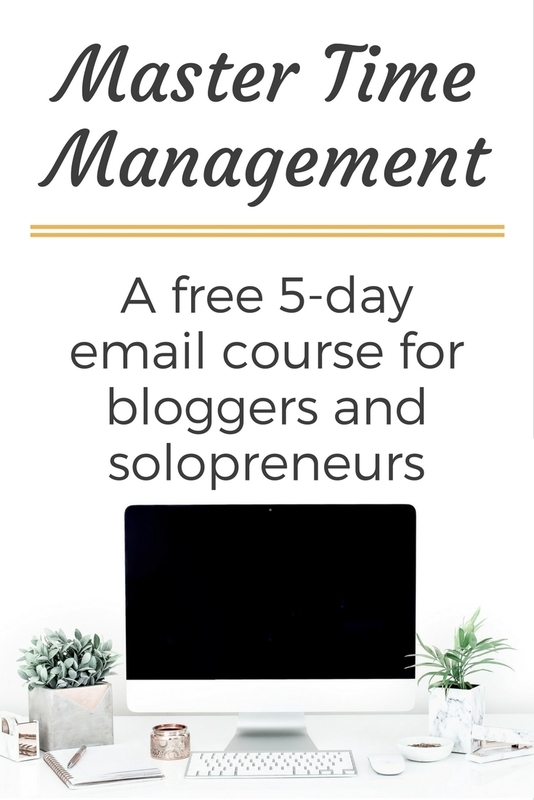 The Blog Startup is slightly more advanced than Blogcabulary Plus, so it’s perfect for those of you have started a site but are wondering how to optimize your site to grow your email list, what to write in your first email newsletters and how to brand your visuals and your writing so you look more professional. 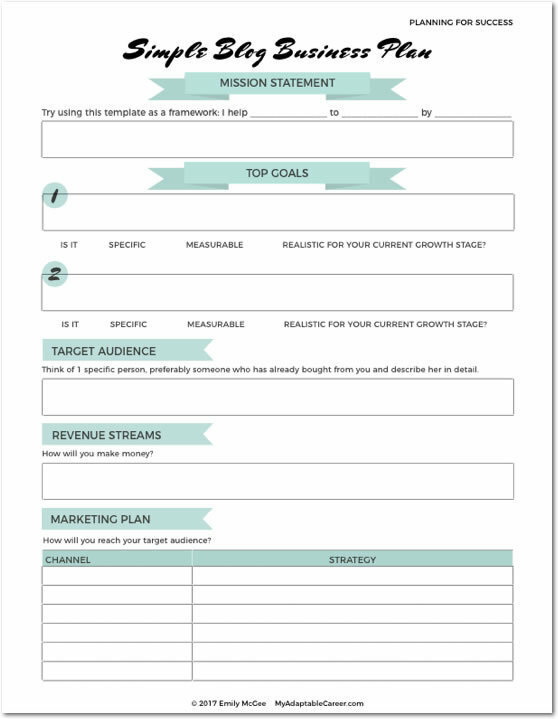 I’m using one of the 90-day launch plans from the book to help me stay accountable to my launch goal. 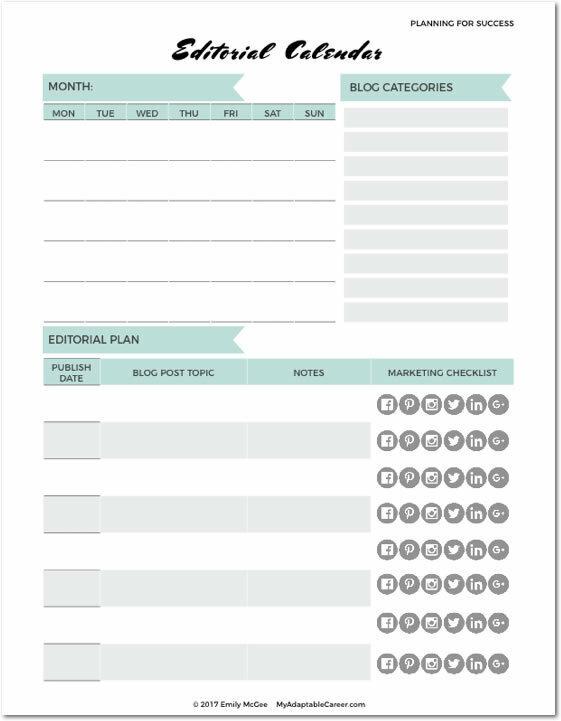 I’m also using several of the templates that are included with The Blog Startup digital package to save me time as I get ready to launch. If you’ve discovered any great, new tools recently, let me know! I’m hard at work on my new site and would love to test some new things.